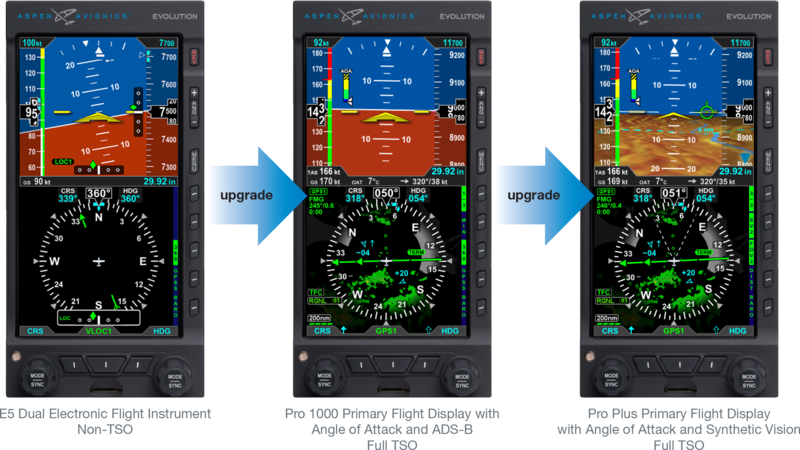 Las Vegas, NV, Aircraft Electronics Association, March 26, 2018: Today, Aspen Avionics introduced the Evolution E5 Dual Electronic Flight Instrument (EFI). The STD’d, non-TSO Evolution E5 consolidates attitude indicator plus DG/CDI into a single display with a rechargeable backup battery. 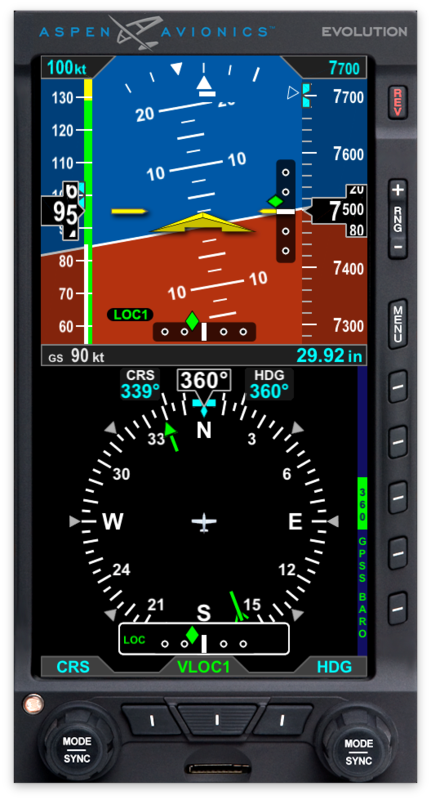 It also includes Global Positioning System Steering (GPSS), air data computer, and attitude heading reference system (ADAHRS) for only $4,995. With redesigned electronics and new glass, the Evolution E5 has a bolder and brighter display and offers higher reliability, more capability and increased processing speed all while retaining Aspen’s unique form factor design that keeps installation costs down. Designed as a drop-in non-TSO replacement for traditional mechanical vacuum instruments, the Evolution E5 also interfaces with most legacy autopilots and will also interface to the new TruTrak Vizion autopilot. The Evolution E5 will be available starting mid-year 2018.